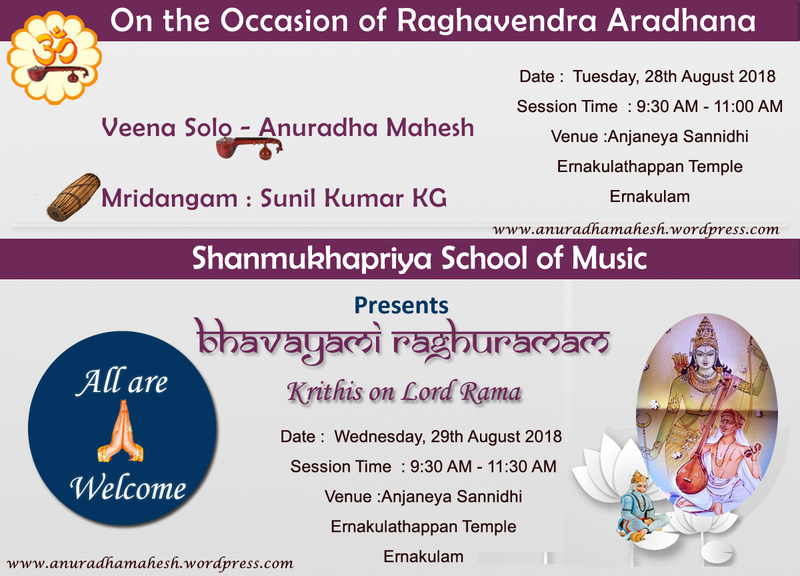 This entry was posted in Concerts & Events and tagged Bhavayami Raghuramam, Krithis on Lord Rama, Shanmukhapriya School of Music, Veena Solo Concert. Bookmark the permalink. Wishing the programme a grand success with guru kripa & Ambals Krupa.